I would like to open this post with an apology. I haven’t written much in quite a while and that is mostly due to being focused on other things lately. I was even debating shutting down this blog as well due to my apparent state of confusion as well as a serious case of writer’s block. I just renewed the domain registration so it’s safe to say that I’m not going to shut down the blog, but where I take it is yet to be determined. I have veered off any kind of definable path at the moment and am in a state of limbo for lack of better terms. This is called the “Quest for Light” and I have to pause and ask: What does that mean? First and foremost, I have abandoned the idea of finding a label. How exactly would I label myself anyway. Let’s break it down shall we? From a traditional theological perspective I am not a theist; meaning I do not believe in any traditional concept of a Supreme Being. However, I do acknowledge that what a person believes is truth to them and that deep within the human conscience there exists an unbroken connection to whatever the first cause of human existence was (or is). This is a philosophical position and not a scientific one. I am not going to pretend it to be anything that is provable. However, if science has already been able to demonstrate that the atoms that compose our bodies are made of “star stuff”, I see no reason not to believe that since our minds are part of that matter that a connection exists between us and all that surrounds us. So while I reject all theistic claims of a God “out there” somewhere, I fully embrace the concept of a God within that connects all there is. This is a pantheistic position and not an atheistic one. However, even that label becomes somewhat complex due to the pantheistic label itself having no shortage of organizations that define it in various ways. 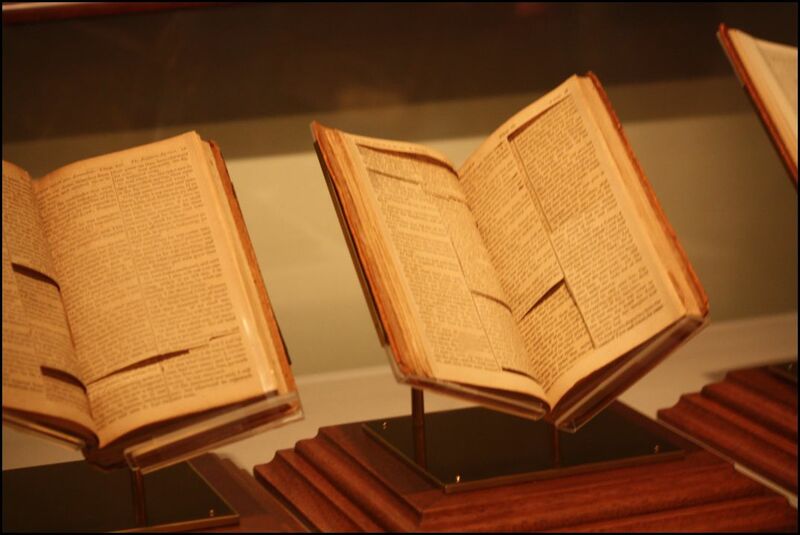 What about Scripture? Clearly I have spent many years studying the Jewish and Christian Bibles, the Talmud, Zohar, Koran, Gita, Tao, and others. While I have learned much from all of them it is no secret that I have favored the Jewish philosophers and even the mystics above the others. Yet it is only recently that I realized that is it is more of the exegetical process of allegorical interpretation and skeptical inquiry used in their approach that had my attention and not the actual content itself. So it was the art of studying and critical examination, which was really somewhat of a scientific approach to something outside of the realm of science that has attracted me all along. The Jewish and Christian Bibles as well as the Zohar will always hold a special place in my heart. Not because I believe they have authority over any other holy text, but because those are the texts that I spent the most time studying. I was born into a Christian family and that is what was my childhood was framed around. OK.. I am beating around the bush and owe you an answer: I do not view any holy text as relevant in the modern world. All of them are a mixture of folklore and myths. Some are laced with actual historical events as well as political propaganda. None of them are science books that have accurate cosmological arguments (meaning “In the beginning” is no different then “Once upon a time”). All are valuable in understanding where we as a race came from and how we have evolved, but none of them are needed for progressing forward or as guidebooks to our future. So I have shifted my focus from Bronze Age texts to the philosophical writings of the Enlightenment period. This has been an incredible endeavor that has allowed me to grow my critical thinking skills even more than even I thought possible. As a result I have opened even more books and nothing tickles the intellectual mind more than when you bounce from Spinoza to Kant and then trace those concepts to giants (that predated even the holy texts) like Plato and Aristotle. So I need to regroup and try to lasso in some sort of personal philosophical path rather than fit myself into a label. So I ask you to be patient with me. The Quest is going to start back up, but don’t expect to be walking down a well-worn path. It’s time we forge ahead and make our own! Yesterday I turned 40. I remember being a kid and thinking 40 is old and yet here I am and to be honest, I don’t feel very old. Sure, I have quite a few gray hairs, a bigger gut, tons of responsibility; my muscles don’t heal quite as quickly as they used to, but deep down inside… I’m still a kid. I still get excited when I get a new toy (although my toys now cost more money and usually require insurance), I still like to dress up at Halloween, still love dueling it out with a light saber, and I still wonder what I am going to be when I grow up. Wait a minute, I’m 40.. Isn’t that grown-up? Then I look back and stand in awe of the many giants that came before me. 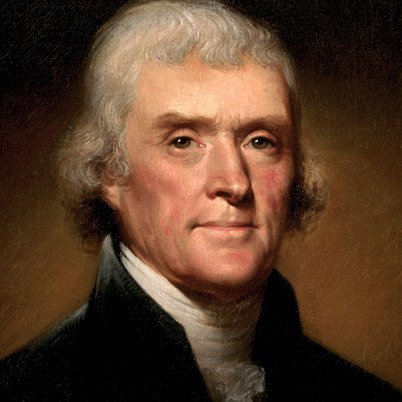 People like Thomas Jefferson, who before the age of 40 had already been the governor of Virginia and written the Declaration of Independence. Isaac Newton had already developed the Theory of Color and developed the blueprint for what became the modern refracting lens telescope. Shortly before turning 40 Nicolaus Copernicus developed the concept of a heliocentric universe (meaning the earth was not the center of the universe). So for all intents and purposes, I have a bit of catching up to do if I want to achieve greatness. Life is a gift. When we consider the number of people who have lived before us and especially when we consider the countless numbers that never even had the chance to live. Our bodies are constantly producing the ingredients to produce life and when that is taken into consideration the birth of a human being is a rare event. Life is fragile. So many things can go wrong during the day that can cut our lives short and any number of things can prevent us from waking up in the morning, so we should make the most of each and every day. We should also be very conscious of how we take care of ourselves. We can’t expect to live long lives if we don’t take care of ourselves. Life comes with a price. Throughout the course of humanity there have existed many religions. All of which have taught in some form or fashion that we owe our existence to the gods. Some have taught that sacrifices, whether animal or even human, have been required to appease the gods or atone for our transgressions. In a less subtle way of putting it, in order for all of us to live somewhere something else had to die. Whether it was a cow that became a steak dinner or a carrot that was uprooted to be a side dish, something has to die for you to live. Life is a quest. Like all quests there a peaks and valleys, easy paths and rough terrain. I often wonder what the point of it all is. We are born, we live a little while, and then we die. The overwhelming majority of people who die are eventually forgotten no matter how famous or how great their accomplishments were. We all struggle and we all should strive to continue the quest and not give up. Even if there doesn’t seem to be a point in it at all. In this quest it is important to not be self-centered or use a winner-take-all approach. For some reason we have an altruistic nature that when tapped into can be very fulfilling and very rewarding. We are all one; one with each other and one with the universe. The more we neglect our connection the more distant we become from our true reality. If more people took a walk along the beach or hiked along a mountain stream more often they would be able to reconnect more to that essence of life and rediscover their very source and essence of being. With all the pain and suffering in the world over whose interpretation of God is right, I often wonder the last time anyone really tried reconnecting with God. Many people turn to religious texts and prayer, but why rely on ancient interpretations of God and morality or the automatic recitations of old poems? The True Word of God lies within the greatest expression of Divine Intervention. You find this all around you, from the drunken man in the streets to a waterfall in a secluded forest. Some things are obviously more desirable than others, but all that exists came from one source. Whether you accept the evidence that supports the Big Bang Theory or whether you believe that “In the beginning God created the heaven and the earth” the fact remains the same. All that exists has a common origin and as such all is one. This can even be loosely expressed that we are all of one body and while the right hand may not control what the left hand does, our eyes still water if we touch a hot stove. For most of recorded history mankind has, in some form or fashion, searched for what can be considered as ineffable truths.. Many of the realities of today were completely inconceivable to people that lived a century ago. Just imagine for a second what men like Benjamin Franklin, Thomas Hobbes, Isaac Newton or Socrates would have tweeted! We live in a world so technologically interconnected that it almost rivals the interconnectedness of nature itself. We live in an age where we’ve mapped the observable cosmos and every discovery is a venture not only in the future but in some ways they are echoes of the past. With each discovery we unravel a mystery of the past and yet to many people this progress is threatening. Religions have held a significant amount of influence over not only culture, but the way people think and how they reason. This is why many well researched scientific theories come under unnecessary fire and criticism. Part of the problem here is the understanding of the word theory as well. There is a difference between the modern vernacular use of the word theory and the scientific use of the word. In the world of science in order to label something a theory requires a substantial amount of experimentation, research, and evidence. Evolution and the “Big Bang” theories are viewed as threats to religion when they should not be. The men that wrote the Jewish Bible were one group of people in an obscure part of the world. One group out of many groups, and while all of them had their cosmological legends and myths, none of them had the knowledge we have today. Few knew the earth wasn’t flat and that the stars were much bigger than the earth. They didn’t know the molecular structure of carbon or have the ability to even know what DNA was. So to rely on their presumptions of how everything came to be and reject what we are learning is foolish. We need to embrace facts and relegate myths and legends to their proper place as allegorical lessons and historical perspectives. We have seen a tremendous amount of changes in society in the last century and it is due primarily to advancements in science and technology. Vaccines have eradicated the majority of fatal viruses, computers can calculate and rapidly retrieve data faster than the human brain, and the internet coupled with mobile technology has enabled information to travel across the globe in seconds when it used to take weeks and even months for information to spread across a single country. Somewhere in the world someone’s very life is being spared because a very skilled surgeon is performing surgery on them. Somewhere in the world a child is walking for the first time on their own because a skilled engineer crafted a prosthetic leg for them. The scientists and doctors of today are what people of old would call miracle workers, but what they do is not miraculous in a supernatural religious sense. We have progressed to the point to where we have a little more control and are subject a little less to random chance. Yet with all we know we are finding there is still so much we don’t know. For now there remain many questions that science still cannot answer. What caused the “Big Bang” and what was there before it? How do cellular structures “know” to evolve at the micro and macro level? And while it is obvious that the universe is beyond our comprehension in size and structure we still wonder if we exist for a reason. Do we cease to exist when we die? Perhaps most perplexing of all is why, if we just happen to inhabit an obscure planet in a solar system on the outer reaches of a several billion year old galaxy, do we have an emotion as powerful as Love? Religions tend to answer these questions in dogmatic ways, but the questions still remain for most people. The idea of any kind of intelligent design is easily brought into question when children are born with life threatening diseases. Yet when one takes a step back and considers the ineffable enormity of all that exists, how can we be so bold as to assume that if there is a god behind it that we are even capable of adequately describing it’s nature or intentions? As an old Talmudic theme teaches – If we cannot gaze upon the sun, which is an object of existence, how can we gaze upon that Source from which it came? The knowledge one claims to have of whatever they believe to be God is purely a mental construct because the existence of any god is ineffable. We are like specks of sand on a cosmic sea shore. We roll in with tides and we roll out. And much like the specks of sand on a beach, we have no way of seeing where the tides came from or where they might take us next. The Hebrew name of God has traditionally been ineffable. This less about taboo and more about the consonantal nature of the Hebrew language (there were no vowels). Perhaps the ineffable name alludes to the ineffable existence of the god being written about. Today is the annual observance of the brutal torture and execution of a man, whether myth or god incarnate, who was nothing less than a moral exemplar for all of us. Whether one professes the Christian faith or not, no one can deny that the lessons of “Love your neighbor as yourself” and “Love one another” inculcated by Jesus of Nazareth are universal principles of morality. “Judge not” and “Let him without sin throw the first stone” should be constant reminders that we are to be tolerant of others and that we should love more and judge less. So today, lets pause and reflect. Reflect on a man that was murdered merely for teaching love over dogma and compassion over judgement. Life at times seems meaningless and uninspiring. This is especially the case when one demystifies the realities of nature and views the laws and order of the cosmos as if they are random acts of chaos. With little tangible evidence for a Prime Mover or Heavenly Father our mere existence, while biologically amazing, seems relatively insignificant in the grand scheme of things and while science provides us with a wealth of information and facts, it lacks the poetic beauty required to inspire and give humanity a sense of hope or inspiration. I am a firm believer in the essence of the human soul. It is the soul that connects one to another. Those who can master the art of meditation are capable of truly connecting with that eternal essence that perpetuates all of existence. Now I am aware that to some people the term “meditation’ is taboo and that there are certain pockets of Christianity that believe it to be dangerous. This is a misguided belief. When a Catholic prays the Rosary and really focuses on the prayer and what is being said – it is a form of meditation. When a Jew recites the Shema and focuses exclusively on what is being said – it is a form of meditation. When anyone prays any prayer and is truly focusing on their prayer – it is a form of meditation. By now I hope you get my point on how meditation takes many forms and it is not exclusive to sitting “criss-cross apple sauce” with your palms up while repeating the word “Aum/Om”. So why did I bring up meditation? It is not my intent to go on an Eastern Philosophy push to anyone. I was merely pointing out that when a person is able to filter out the “noise” of the day (the technological and completely unnatural obstructions that surround us) they can reconnect to the soul within and with a little more effort the Eternal Soul of all that exists. Some may call this connecting to God, some may call it “being one with nature”, and some may view this as mere figments of an overactive imagination. It is the later that many find to be the uninspiring view and while I agree that it might be the reality, who cares? While to some it may be irrational, our perceptions are our realities. If a person finds strength in faith, then their beliefs have merit and no one should denigrate the beliefs of another. One cannot deny the power of the human mind. Those with deep faith and convictions are not necessarily receptive to facts and observations that are contrary to what they believe and while this is viewed as a threat to our intellectual future by the militant arm of the Atheist movement, I need only remind them that the majority of their heroes still believed in either a Prime Mover or Spinoza’s pantheistic view of the cosmos. It is human nature, whether warranted or not, to have a purpose and to have someone or something that they can reach out to in times of despair and that keeps them in line and humble. The idea that a physical manifestation of God is necessary for there to be any validity to faith is a fallacy. At the risk of being overly hyperbolic, a comparison can be made that the mere thought of Santa Claus and the Easter Bunny stirs excitement and anticipation to children all around the globe – real excitement and real anticipation. The same is true with faith in any sense of deity. If a person believes that there is a god, then there is a god and only they are capable of changing that. The same is true for those who do not believe. There are no Bible passages or testimony of personal revelation that will convince a skeptic that a god exists. I believe that even the most rigid atheists hold something in the utmost esteem whether it be science, nature, or the mere act of discovery and inquiry itself. While that pinnacle of inspiration may not be god to them in the sense of the term, there is very little difference when taken into context of how it affects them. Perception is often reality and to those that truly believe, there is strength in faith. There are mysteries that have puzzled the minds of all who take time to think about anything beyond the mundane and menial tasks of our day-to-day lives. The more we advance (or evolve) the more questions we answer and the smaller the enigmatic box of mysteries becomes. It has been human nature to perceive the concept of a divine being with attributes and emotions much like our own that governs our existence and the laws and order of the cosmos. We call this mystery of mysteries, this supreme entity – “God” and while we conceive a loftier and more immense being then ourselves, anything we do to define god with “authority” in essence puts a human box around that which is infinite, not human, and possibly completely unknowable. Thus, humanity has created a god in their own image and in a manner of their own understanding. This perception is limited to an individual’s own experiences and knowledge which is often influenced by mentors, parents, and time immemorial. Humanity has grappled with purpose and the enigmas of natural phenomena and while there is far more knowledge of biology, geology, and astronomy now than we had even a century ago, the mythical explanations of ancient times still influence society today. For example, it is an indisputable fact that the earth revolves around the sun, yet we still say sunrise and sunset. Some still say the “stars come out at night” when they are actually “out” all the time and it is only when we rotate away from the direct rays of our sun that the light from the others become visible. There is an unfortunate debate that somehow science is atheistic and that scientists work against the belief in a god. This is unfortunate given the fact that it is science that enables us to see just how incredible it is to merely exist. Especially when one considers the incredible odds stacked against each one of us during the process of conception through gestation and eventually to our birth. The fight is one that has been going on for centuries and while many like to point to the scientists as being the culprits, history tells us a different story. Galileo, Copernicus, Newton, and Bruno are all men who had faith and through research uncovered scientific facts that went against the common beliefs and positions of the church. The church took the ignorant and intolerant position of branding these men heretics and in the case of Bruno – burning him at the stake for teaching facts. When human inquiry and discovery uncovers facts that go against the common beliefs then we must reconsider what we believe rather than reject the facts. How humanity has grappled with the mystery of existence has evolved. Whether one relies on empirical evidence as their sole source of finding answers or not, it can really only satisfy the questions around the mere existence of physical things. We still have the epistemological enigmas that are the basis of going beyond empirical evidence and beyond physics (metaphysics). There was a time when man worshipped fire and then we began to understand it thereby stripping it of its divinity. The gods of ancient Greece and Rome were replaced by the invisible god of the Hebrews. Humanity has now ventured into space and found no celestial palace in the skies that would have been the destination of Elijah’s flaming chariot or an ascending Jesus. Are we to revert to the Platonist philosophy of a Prime Mover? Is existence random or is there perhaps a Pater Agnostos (unknown father)? Perhaps this is the mystery of the Ineffable Divine Name of the Jewish tradition. That even within a book claiming to tell “His” story, we are still incapable of knowing “His” name thus our conceptions are limited by our knowledge and our knowledge by our own experiences. Perhaps to know God requires one to first know them self, thus making the mystery personal.